SEO stands for “Search Engine Optimization” It is the process of getting Traffic from the “Free,” “Organic,” “Editorial” or “Natural” Search Results on Search Engines. 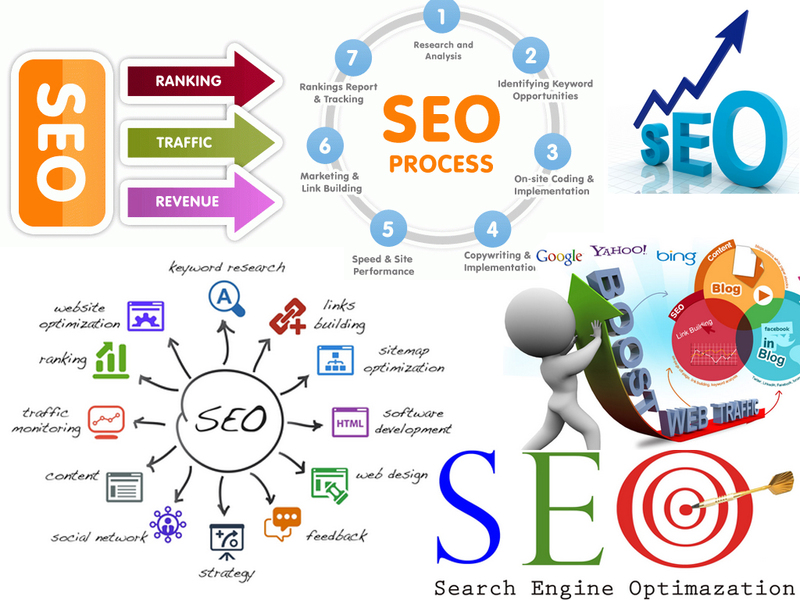 SEO or Search Engine Optimization is the name given to activity that attempts to improve Search EngineRankings. Search Engine Optimization (SEO) is the process of improving the volume and quality of Traffic to a Website. Search Engine Optimization (SEO) is a subset of Search Engine Marketing (SEM), the term SEO can also refer to "Search EngineOptimizers”, it is basically industry of consultants, who carry out Website Optimization Projects on behalf of their clients. There are more than 3 billion Websites in World Wide Web, and More than 92% of people use Search Engines to find sites, above facts shows that how important Search Engine Optimization is. Professional SEO work from K3 Web Creation can place your Website in top positions in Google and many other Major Search Engines. There are two major types of Search Engine Optimization, White Hat Search Engine Optimization (the 'good' kind), and Black Hat (the 'not so good' kind). We, K3webcreation.com are A Leading SEO Company in Mumbai, India which offers state-of-the-art SEO and Design Services to your Websites to help you score over your competitors and come as top priority in Search Results. Search Engine Optimization is a good way of Marketing a Website. K3 Web Creation one of the Best SEO Services Provider in Mumbai, India can help contribute to the improvement of the Organic Search Engine Rankings of a Website. We at K3 Web Creation understand the need for effectiveness of Search Engine Ranking as we are one who drive in user Traffic to a Website and generate lot of profit and business opportunities. If your Website is not properly visible or listed in Search Engine Results then your chances of losing out on customer also increases and vice-versa. Hence the need of a good SEO company in Mumbai gets lot of insight on your part when one is searching for service providers with Search Engine narrowing procedures. As a top notch SEO Company, we offer a wide range of SEO Solutions in Mumbai, India that applicable across the globe transcending national boundaries and not just India specific. We seek to offer Cost Effective Link Building Services absolutely designed to meet and create maximum number of one way links that will undeniably Enhance theVisibility of your Websiteon Major Search Engines or the World Wide Web. Make Your Site Appear in Google. Great Content encourages people to link to your pages and shows Google your pages are interesting and authoritative. Google promotes authority pages to the top of its rankings. This involves Writing Content. Content is shared in Blogs, Twitter Feeds etc., and over time Google picks up on these authority signals and creates strong and sustainable Google Rankings. A Simple 1-2-3 Guide to Getting Better Search Results. Search Engine Optimization or SEO is the simple activity of ensuring a Website can be found in Search Engines for Words and Phrases relevant to what the site is offering. It's simply Quality Control for Websites. 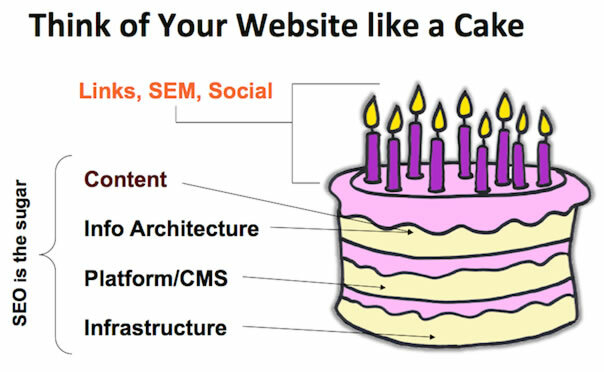 You’re Links, Paid Search, and Social Media acts as the icing, but your Content, Information Architecture, Content Management System, and Infrastructure act as the sugar and makes the cake. Without it, your cake is tasteless, boring, and gets thrown in the trash. Performance: How fast is your site and does it works properly? Poor User Experience: Make it easy for the user to get around. Too many Ads and making it too difficult for people to find Content they’re looking for will only increase your Bounce Rate. Being consistent with Keyword Phrases within these platforms will not only help your Branding efforts, but also train users to use specific phrases you are optimizing for. Search Engine Optimization is the process of improving the visibility of a Website on Organic ("natural" or un-paid) Search EngineResult Pages (SERPs), by incorporating Search Engine Friendly elements into a Website. Optimized Titles and Meta <Keywords> and <Description> Tags. Page Size & Loading Time. Text Links / Anchor Text. Search Engine Submission and Directory Inclusion. A successful Search Engine Optimization is broken down into two basic areas: On-Page, and Off-Page Optimization. On-Page Optimization refers to Website elements which comprise a Web Page, such as HTML Code, Textual Content, and Images. Off-Page Optimization refers to Back links (links pointing to the site which is being optimized, from other relevant Websites). Our Professional SEO Research and Development Team of K3 Web Creation are working 24/7 to keep a close eye on the Search Engines behavior, and respond to the searched term. Our Team that has the SEO Strategy ready, which is always planned well in advance, based on the complete understanding of the client’s business & requirement. Our goal is to work in the present, but provide solutions for the future, and provide long term SEO Strategy. K3 Web Creation has a Dedicated SEO Team of Experts who will never compromise on quality at any cost. With our Team, you can be assured of Reliable Services, Guaranteed Results and the Value of Added Content. Our credible work ethics and our passion for success will leave no stone unturned in building your authority in today’s dynamic market. It is no longer sufficient to be good; it’s time to be the Best. AT K3 WEB CREATION, WE BELIEVE IN THE QUALITY OF WORK THAT DELIVERS A SIGNIFICANT INCREASE IN TRAFFIC AND EFFECTIVE ROI. SEO is no longer just about Rankings. It is about building trust with your audience, answering their questions, addressing their concerns, and giving them great Content. Approach us today to get a free consultation of the real big picture that we dream to paint for you and also on how we can strategize to help you maximize ROI on your Website investment by SEO Services India. We endeavor to offer dedicated services with an aim to build a never ending customer- entrepreneur interface.